Women's reproductive health and rights are inextricably linked to environmental health and justice issues. Women's bodies and reproductive health are often the markers of environmental contamination through diminished fertility, fetal developmental disabilities and increased rates of cancers. 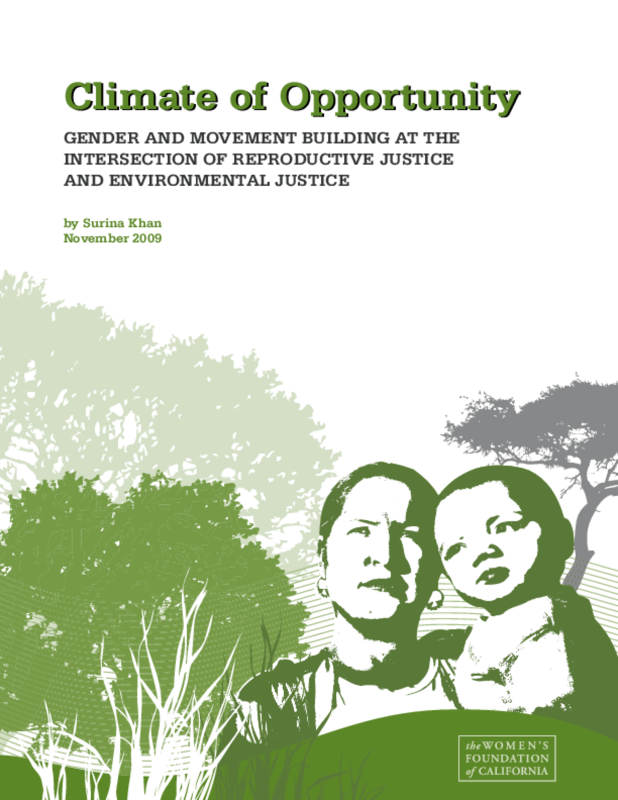 Beginning in 2008, the Foundation brought together grant partners working in these two movements to form the Environmental Justice/Reproductive Justice (EJ/RJ) Collaborative. The Foundation has seen firsthand how joint advocacy generates more inclusive movements and stronger outcomes for communities. This report summarizes the EJ/RJ Collaborative as a reference for funders, policymakers, organizations and others interested in joint advocacy work. Copyright 2009 by Women's Foundation of California. All rights reserved.